Life in Mérida, Ometepe Island – Nicaragua | Travel Smart! Looking for accommodation in Mérida? 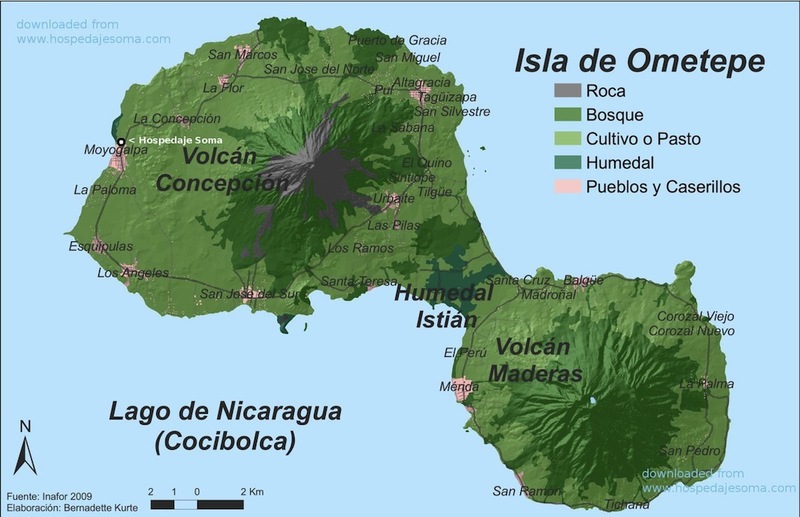 Ometepe is a famous island within the lake Nicaragua (locate it on the map). It has been formed by two volcanoes, that’s why the island has still the shape of two circles, which are divided by the Istián river. The highest volcano, called Concepción, is still active and erupted for the last time in 2010. The other one, el volcán Maderas, is extinct and its last eruption happened more than 4000 years ago. The inhabitants of Ometepe, los isleños like we call them here, are extremely lucky because they have everything they need to survive, thanks to their access to water. They are not only surrounded by one amongst the largest lakes in the world, but also have infinite fresh water running down directly from the volcanoes. While water is rare and very expensive in other parts of Nicaragua, in Mérida for example (a small village in Ometepe island), water costs less than 1 US$ a month for an unlimited use! 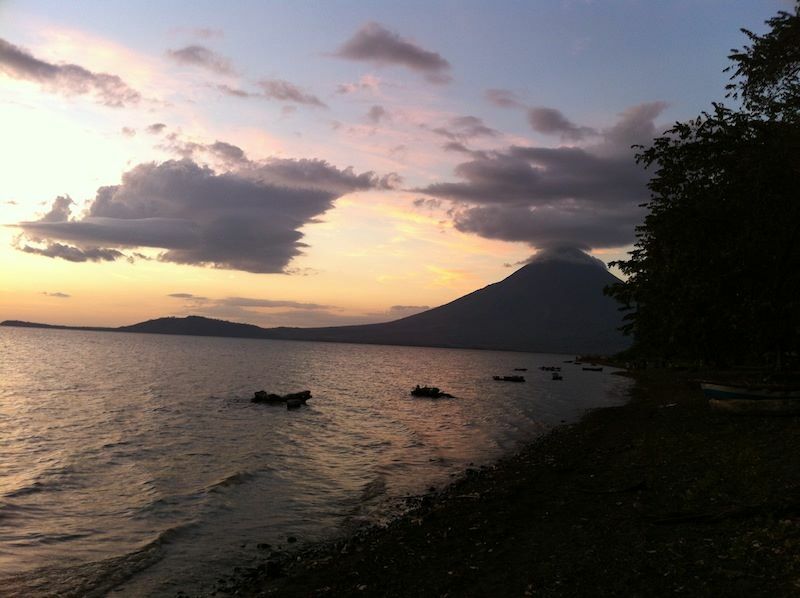 This abundance of water makes the island of Ometepe extremely rich of life, fauna and flora. Los isleños can easily live and eat very well without any supply from “afuera”, like they say to designate other parts of Nicaragua. They have a huge production of plátanos, bananas, rice, beans (frijoles), and fruits everywhere you go on the island. They have such an amount of mangoes that they fall down from the trees and all kinds of animals eat them : dogs, cows, horses, pigs, chickens… The people of Ometepe have access to fresh fish, fresh meat, and they can totally be auto-sufficient and disconnected from the rest of the world. Mérida (locate it on the map) is a small village at about 2h30 (bus) from Moyogalpa (the main port of the Island that connects it to the rest of Nicaragua). 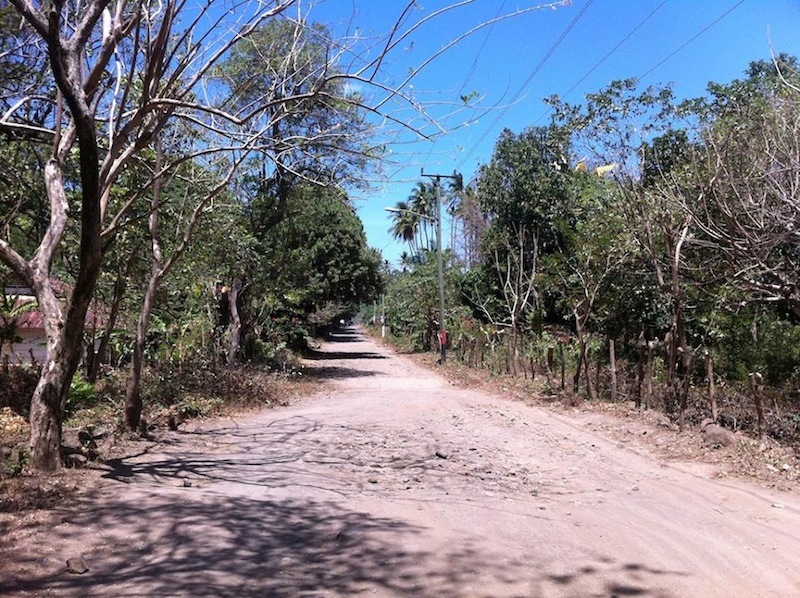 A big part of the road to Mérida has no asphalt and is on stones and rocks. It makes it less accessible to tourists, especially that there is only one bus daily, departing at 2h30 PM from Moyogalpa. The village is very close to Volcán Maderas (4 hour hike to get to the top) and has the view on the magical sunset above the lake. It is very common to cross animals in the street or on the lake : pigs, cows, horses, chicken, dogs. There are of course many kinds of birds, and you can even cross a monkey sometimes, even though they prefer to be in the jungle a bit outside the village. During the night, and especially near the lake, there are many big toads. Every morning one can usually see a lot of women washing their laundry in the lake using some piled up rocks. And in the sunset, you will see families trying to catch some small fishes with a fishing net. People live essentially from agriculture, and many of them have never left the island and do not know any other places in Nicaragua. A man of more than 60 years old told me that he has never eaten lobster, prawns, or octopus which are very common just at the other side of the lakeside, close to the Pacific coast (one hour by boat from the island, and one hour by bus). If you want to buy fresh meat, ask for Miguel Trompudo (everybody knows everybody in Mérida). He slaughters a cow every Saturday very early in the morning. You can book your order in advance on Friday night. One pound of meat costs 60C$ (2,50 US$). 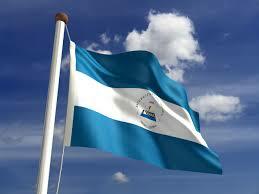 Much easier, if you want to buy fresh fish, go to the people on the lakeside and ask for Santo Cucaracha. He is the fisherman of the village and offers fresh fish early every morning. A good fish is between 0,20 to 1 US$! If you prefer to eat at a restaurant, try the delicious grilled fish of El Caballito, where they also offer lodging and kayak tours to Istián river.